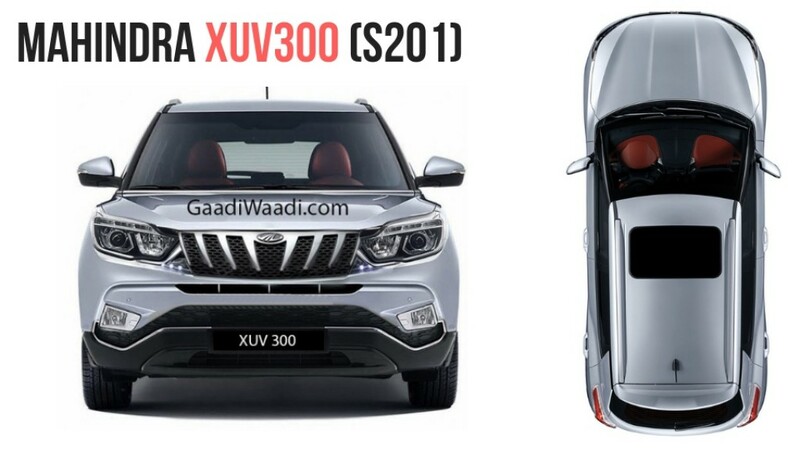 Mahindra is inching closer to the launch of its new compact SUV, which is codenamed as S201. We have seen prototypes with production-spec tail lamps, alloy wheels and even sunroof before. 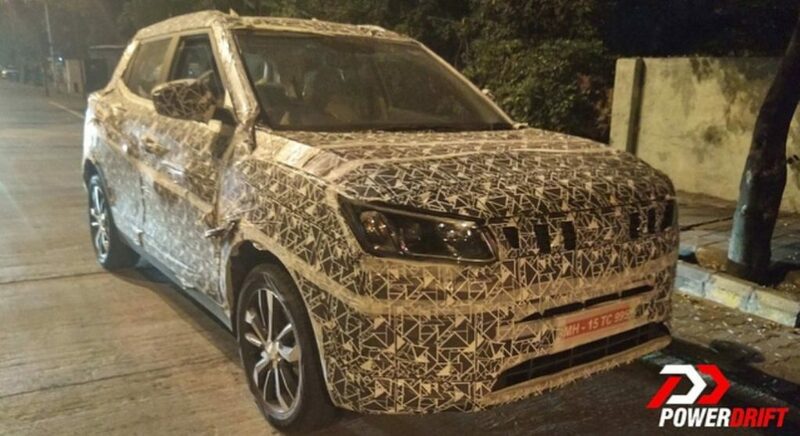 The S201 test mule was again spotted and this time the spy images reveal that the compact SUV will come with a toothed grille, which is similar to the one on upcoming flagship Alturas G4. The production model is expected to be named as Inferno and it is based on SsangYong Tivoli platform but the exterior design is completely different. 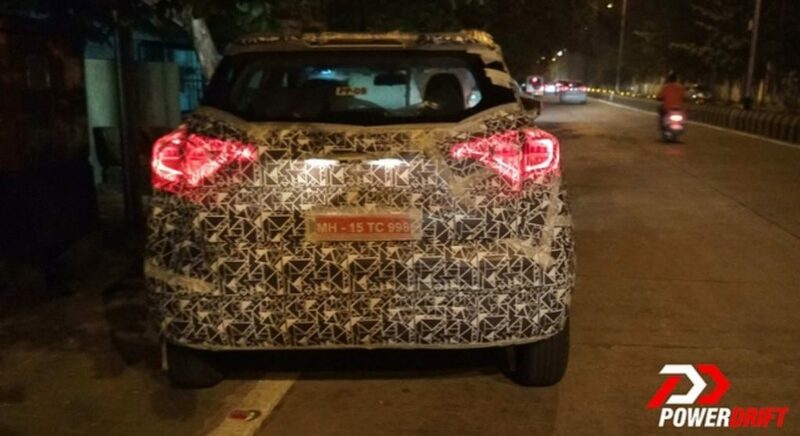 The company has given big headlamps with projectors and the bumper also gets a new design with fog lamps inserts expected to be placed on the lower part. The side design is simple with 16-inch machine cut alloy wheels on the top end model. The rear gets LED tail lamps, which does look really good at night with an integrated spoiler. Overall, the exterior design is fresh and appealing. The earlier spy shots confirmed that the interior design will be carried over from Tivoli like Alturas, which will reduce cost. The three-spoke steering wheel will be new and the instrument cluster has a MID in the middle to give information about the vehicle for the driver. The centre console has lots of buttons, which is old school style but we can expect good interior space for the front and rear passengers with decent boot volume also. The S201 will be loaded with features like touchscreen infotainment system with Apple CarPlay and Android Auto, dual zone climate control, sunroof, alloy wheels, reverse camera with parking sensors, all four disc brakes and more. We can expect ride and handling package to be good as the Inferno get monocoque chassis and is the third Mahindra model to come with this type of construction. The engine lineup includes a new 1.5 L diesel engine from Marazzo with segment-leading 125 PS and a new 1.2 L turbocharged petrol engine with 135 PS (also the most powerful in segment). We can expect the company to offer S201 with both manual and automatic transmission. Mahindra is also planning to introduce an EV variant of S201 by the end of this decade.